Even the most diligent of businesses sometimes find themselves in contractual disputes with their business partners, vendors, or competitors. How to best handle a given business dispute will largely depend on the relationship of the parties involved. Sometimes, a dispute will arise between two businesses that have long standing relationships and no holds barred litigation may not be the best option. Other situations will involve nothing less than the company’s very existence and aggressive litigation will not only be preferred but required. The attorneys at Bracamontes & Vlasak, P.C., understand that litigation decisions need to be made in the context of broader business concerns and will tailor our approach to a given problem only after we have a thorough understanding of the client’s ultimate goals. If your business is involved in a contractual dispute or has been the victim of unfair business practices, contact us to discuss your case. We can help your business use the law to protect your livelihood and your rights. Unfair Business Practices: Deceptive advertising or marketing, unfair conduct that violates the policy or spirit of an antitrust law, fraudulent conduct or communications, or any other conduct that otherwise significantly threatens or harms competition. While one needs to generally state an underlying statutory violation in order to claim a violation of Unfair Competition Law (“UCL”), the UCL generally provides for a longer statute of limitations than other statutes. For example, if a business wanted to bring a breach of an oral contract claim, said claim is usually subject to a two year statute of limitations. Whereas, if that same claim could be characterized as a violation of the UCL, then the statute of limitations would likely extend to four years. Civil RICO: The Racketeer Influenced and Corrupt Organizations (“RICO”) statute, while originally drafted to aid the government in combating organized crime, has also become a valuable tool in remedying abusive business practices. When a valid RICO claim can be stated, it provides a potent weapon for the plaintiff, since it awards treble (triple the amount) damages plus attorney’s fees and costs to a prevailing plaintiff. RICO claims should be considered in situations where there are claims of fraud or some type of conspiracy meant to defraud a business or individual. Breach of Contract: Written breach of contract claims have a statute of limitations of four years. However, whether a breach of contract claim arises from an ambiguous term in a contract or whether the other party has acted in bad faith, it is always advisable to enforce your rights immediately since parties to anticipated or pending litigation have an obligation to mitigate or minimize their damages. Sound legal advice early on in the process can help prevent mistakes that may be costly to a business should litigation become necessary. Schedule a free consultation with an experienced business litigation attorney by calling Bracamontes & Vlasak, P.C., at 415.835.6777 or completing our online contact form. 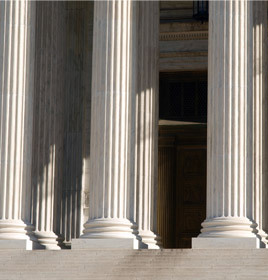 See our Client Testimonials for examples of our success in business litigation cases.